As we get closer to Halloween, images of bats are all around. These mysterious flying mammals have been the subject of superstitions, folklore, and fear. They have also been touted as pests or unclean. In reality there is nothing to fear about these animals. They are shy, intelligent creatures that play a vital and underappreciated role in our ecosystem and economy. Last month, the Open Space Authority hosted two docent-led evening hikes led by volunteer docent Joan Murphy, to look for bats as they flew out for the night at the Authority’s Little Uvas Creek preserve. Attendees gathered just before sunset to learn a bit of background about these animals before hiking to the top of a nearby hill for a short presentation and to watch bats fly out overhead as it got dark. Joan is a retired life science research librarian and professor who worked at Stanford Research Institute and The University of Arizona, became interested in bats while working early in her career as a National Park Ranger -- one of the park service’s very first female rangers -- at Carlsbad Caverns National Park in New Mexico. During last month's bat walks, she shared her fascination with these animals and their ecological impact. Bats are incredibly diverse. The smallest species is the size of a moth or bee and the largest ones have up to a five foot wingspan. One quarter of the world’s mammal species are bats. About half of all bat species in North America can be found in California, with 16 species found here in the San Francisco Bay Area. 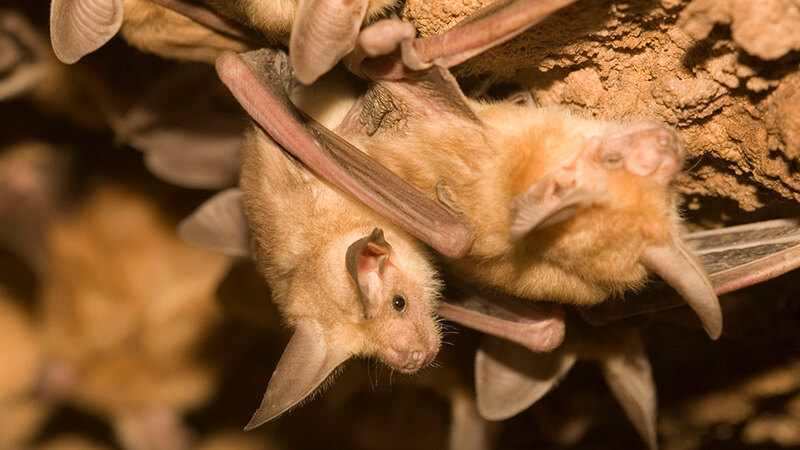 The ones most common in Santa Clara County are the pallid bat, the Yuma bat, the Mexican free-tailed bat, the red bat, the hoary bat, the big brown bat, the silver haired bat, and the canyon bat. Bats are important pollinators, helping improve the health of forests and agriculture by spreading seeds. Joan listed off many of the food products that are pollinated by bats – bananas, mangoes, dates, peaches, cocoa, and more. Bats provide pest control management for US agriculture by eating insects such as moths, flies, wasps, and mosquitoes. As it started to get dark, attendees watched the first bats flying overhead with their recognizably erratic and zig-zagging flight pattern, which is far different from the ducks and other birds heading home to roost for the night. It’s no surprise that generations past thought these animals were magical – humans couldn’t figure out how they could find their way in the dark. Their use of echolocation (bouncing sounds of objects to navigate) certainly seemed to be a superpower, but they also navigate using their strong senses of hearing, smell, and even sight - that phrase “blind as a bat” is not true, bats have very good vision. That seemingly erratic movement is actually quite skillful and carefully controlled. Soon, there were dozens of bats overhead. Murphy explained that the bats fly out to this particular ridge because it overlooks a large pond, the perfect hunting ground for aquatic insects. Some bats eat their body weight in insects every single night. Bats face a number of challenges, and many species are on the decline. Habitat loss is a serious concern. 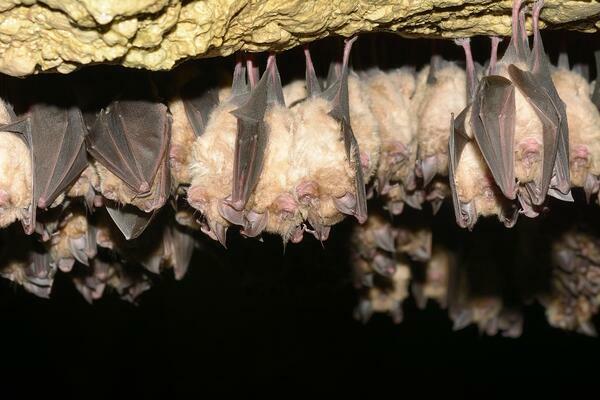 As forests are destroyed and caves and caverns closed off, bats lose their hunting and hibernation zones. Shifting weather patterns, exacerbated by climate change threaten bats when insects don't hatch at the right time of year. White-nose syndrome, a fungal disease that originated in Europe, has killed more than 6 million bats in the US and Canada since 2006. Conservation agencies like the Open Space Authority are working to conserve and manage habitat for wildlife, including bats, and creating educational events where people can learn more about these often-misunderstood mammals. Because many local species migrate south in the winter, the best time of year to see bats here in the Bay Area is during the summer months from June to September. Watch for them near bodies of water – they arrive at dusk to hunt for insects. During the summer months, you can join the Open Space Authority’s seasonal bat walks that give access to the properties past dark. You can also attend one of the popular Starry Nights astronomy events at Rancho Cañada del Oro Open Space Preserve. Joan Murphy recommends bat seekers go early to the event - there are often bats rising out of the trees near the parking lot at dusk. The Santa Clara County Parks often offer seasonal bat programming, too.